B-school rankings are more than just an annual ritual undertaken by various media groups. If taken with a pinch of salt, B-school rankings can help MBA aspirants, companies and others to assess the reputation and credentials of a B-school in comparison to others. But rankings should not be considered as the sole criteria to judge the standing of a Business school. For instance, if you glance through any of the B-school rankings such as those of U.S. News, Business Week or Forbes, 3 schools that are ranked on top are Harvard, Stanford and Wharton. 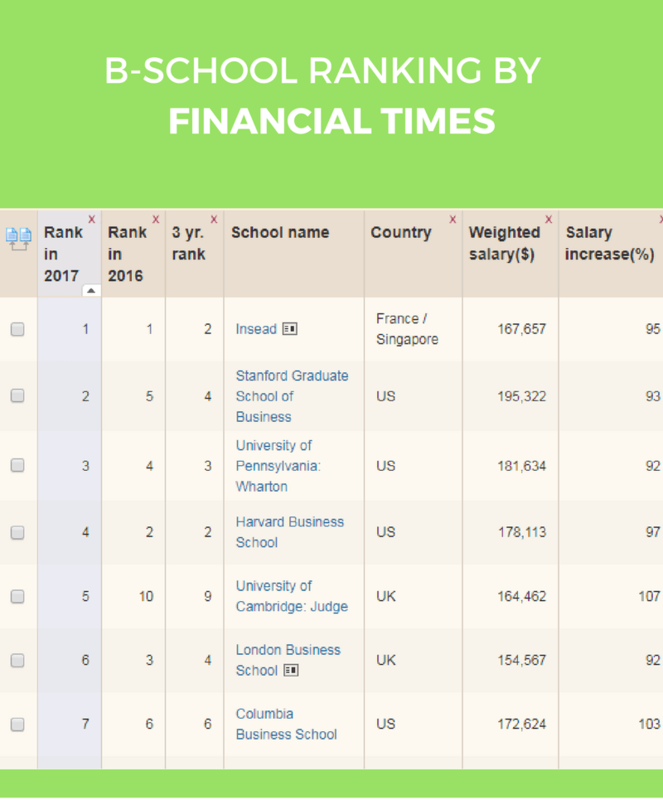 If Financial Times ranks Stanford first and Harvard second, does it mean that Stanford is better than Harvard? Or that you will have better career prospects at Stanford? No, not at all! Rankings merely tell you whether a particular B-school you are applying to falls in the Top 5, Top 10 or Top 20, based on which you can make a wise selection. As we have discussed previously, there are other criteria (geography, post-MBA goals, duration etc.) that determine which B-school would be best for your requirement. So, just because Chicago Booth is consistently ranked in the Top 5 doesn’t mean that it is also the most appropriate program for you! What are these rankings actually based on? Here is a glimpse of some of the B-school rankings! At the end of the day, B-schools do try to achieve higher rankings every year or at least maintain their position because rankings directly impact their marketability. The bottom-line is: do not be guided solely by the rank of the school – do your research; secondly, make sure you understand the ranking parameters and methodology before you accept the final numbers.